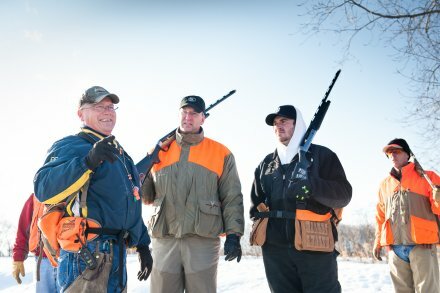 Safety is the top priority at Fasan Jäger LLC Upland Game preserve. Upon arrival at the Fasan Jäger KlubHaus you will be required to read the safety guidelines and sign a waiver prior to your hunt. No Alcohol prior to hunt / we reserve the right to cancel hunt if suspect to intoxication. Never shoot across another shooter. Don’t interfere with another hunter’s dog. Never put your gun off safety until game has flushed. Don’t shoot at low flying birds or birds on the ground - you may hit a dog or another hunter. All hunters will wear hunter orange. Always maintain a "straight line" when hunting with others. No loaded guns in or on Klubhaus grounds, loaded guns in field only.